The Blue Pearl is on the hard. 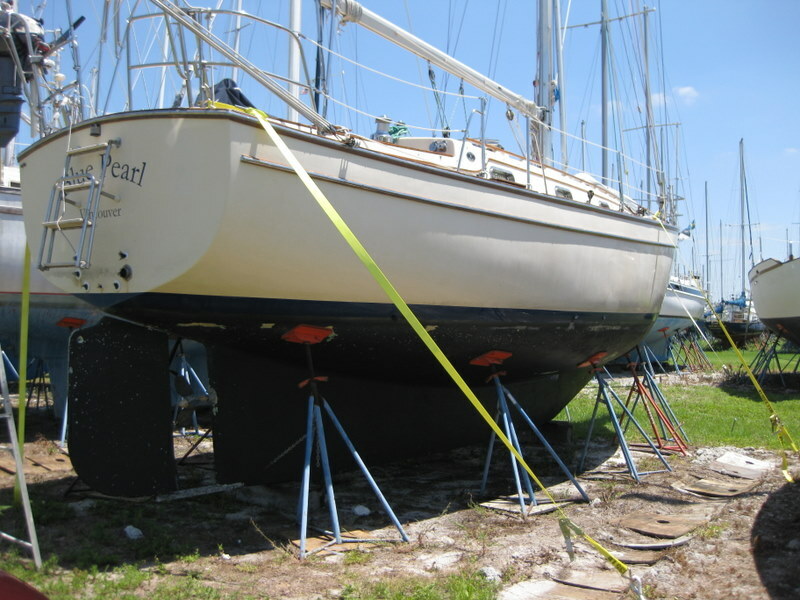 We took off all the canvas (dodger, interconnect and bimini), took off the sails, cleaned everything inside and out and got it ready to put to bed. 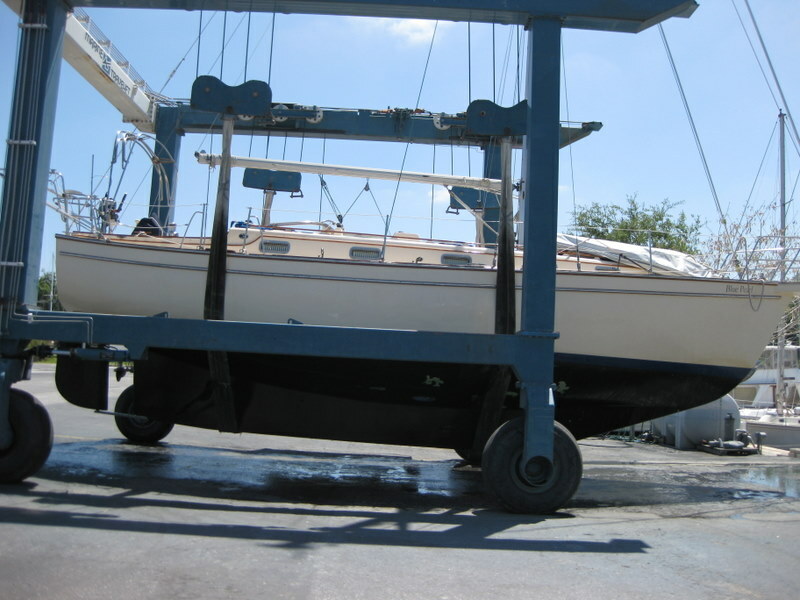 We will clean, wax and polish the topsides and paint the bottom next year before we launch. We have sent the sails away to be cleaned and repaired. We dropped the canvas off at a shop to get estimates for repairs or new canvas. Sitting now in the airport in Orlando waiting for our flights. Really excited about seeing all our family and friends.